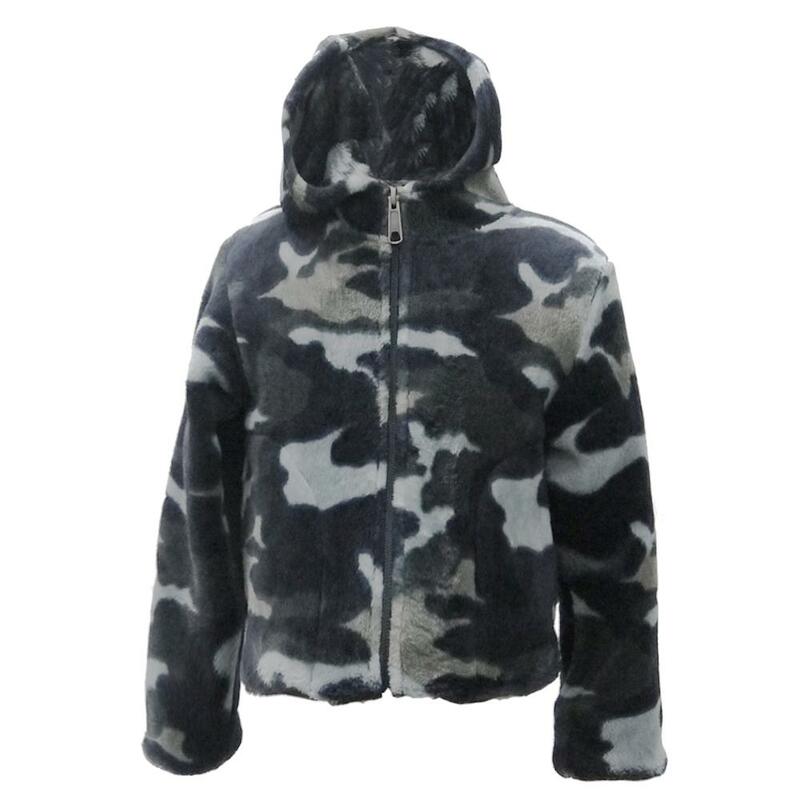 With cool camo or pretty florals, the White Sierra Print Fuzzy Bomber Fleece Hoody makes layering up for winter fun. This kids' fleece is made with plush fleece, which is some of the softest fabric around. An attached hood provides warmth and protection from the wind. 2 hand pockets keep fingers cozy.